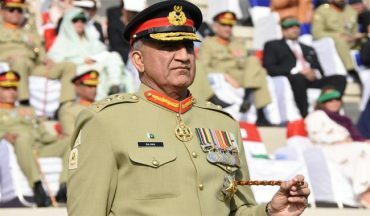 COAS Qamar Bajwa's Heartfelt Letter To Najam Sethi Shows The Real Face Of Pakistan! 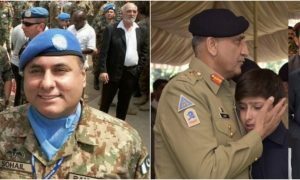 COAS Qamar Bajwa’s Heartfelt Letter To Najam Sethi Shows The Real Face Of Pakistan! Ever since 9/11 Pakistan’s security had been compromised to extreme extents. Terrorism, non-state actors, foreign influence, all of them combined, had hurt the country’s economy and other facilities that make a great nation. However, in the last few years, the sense of security, international presence and the best of all, sports, has returned to Pakistan. With back to back Pakistan Super League (PSL) successes in the country, cricket finally came home. Last year it was the final, while this year the semi-final and final of the tournament were played out in Pakistan. This opened and paved way for international cricket to come home as well. Previously this year, West Indies toured Pakistan and the matches were held in Karachi. 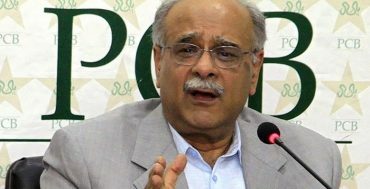 “My dear Sethi Sahab, I wish to express my heartfelt felicitation to you and your team on the conduct of Pakistan Super League and home series with West Indies in Pakistan. These landmark achievements not only bode well for the future of Pakistan cricket but also allay the distorted view of Pakistan and the security environment. The letter, which seems to have been leaked, shows the humble nature and personality of our Chief of Army Staff and his outlook of Pakistan, as a nation. They say, when different institutions in a country start working together, success, then, is imminent. Bajwa Sahab’s gratitude and admiration for cricket and other sports also proves that he is only working in the best nature of the nation and any step the COAS takes is for the progress of the country, not against it. Infiltrators and propagandists will forever still alive, as they have been for 70 years, but this little piece of paper is more than proof to their shame and horrid actions. 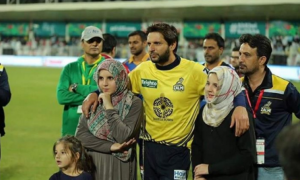 Afridi’s Daughter Trolled Ahmad Shahzad Aur Seriously Bohat Heavy Trolling Hai Ye! 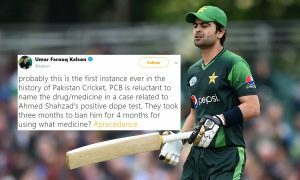 Ahmad Shahzad Faces Ban for Doping and Here’s How Unforgiving Pakistanis Are! An Army Officer’s Wife Talks About The Sacrifices Of The Uniform And What Their Families Go Through! A Garage in Karachi Restored Fatima Jinnah’s Classic Cadillac Series Convertible and It Is Just Wow!